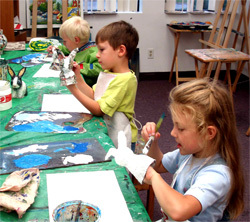 At our art classes we use different materials. Some of our three dimensional projects have been made out of Papier-mâché. 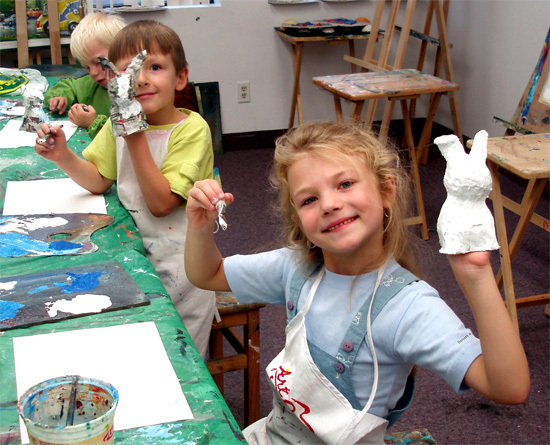 Papier-mâché is an enormously versatile and exciting craft medium. It allows creating three dimensional objects out of pieces of paper stuck together with glue or starch. It also can be reinforced with fabric. When the object is dry it becomes solid. Much of its appeal is based on the simplicity of the techniques used and the ready availability of the materials needed – newspaper is the main ingredient. 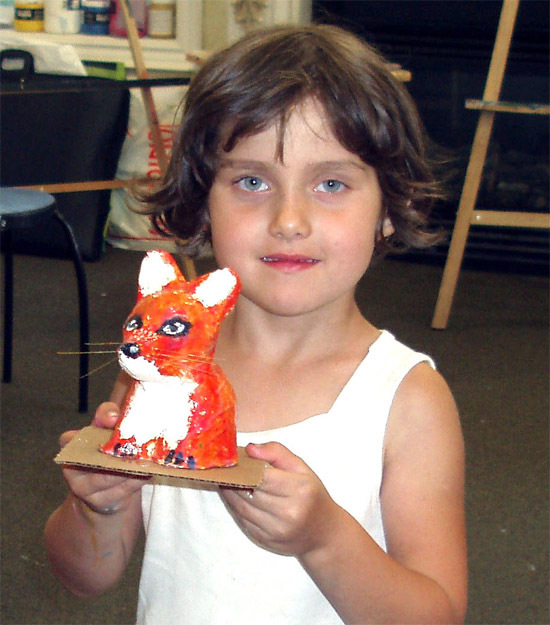 This term we have several Papier-mâché projects on the go like Greek vase, Bunny and Fox. While making Greek vase students are being introduced to ancient art history. 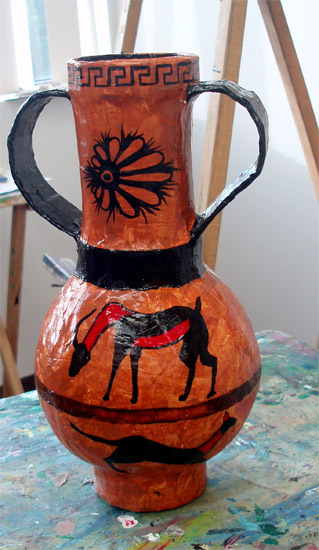 They learn, for instance, that a good vase painter was a highly respected artist and many signed their works.